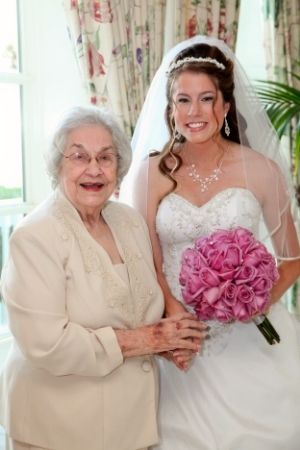 1) I lost my wonderful grandmother on Tuesday. It was a little expected and thankfully my mom got to be there for her at the end. I flew up to Virginia on Wednesday night to be there for the service on Thursday. 2) I flew back home on Thursday night, landing at the airport at midnight and getting home at 1am. Then I was back up at 4:15am and back at the airport at 5am. Everyone asked me why I didn't just stay the night at the airport but I wanted to switch out luggage. But I was ready for the Dumbo Double Dare! It was bittersweet because it was such a sad week yet I was so excited for the race. After two races, we walked out with 4 medals! 3) Sunday was my birthday. My hubby and friends had some wonderful surprises planned. And I had to wear my special birthday shirt! 4) My Kona Kase came in last week. 5) I received my Camelback that I won from the Run Chat! 6) Bella's 3rd birthday was on Thursday and I spoil her so of course she needed a birthday pupcake! 7) Since I was out of town for my birthday, Kory took me to dinner on Thursday to celebrate. He took me to my favorite restaurant Melting Pot. He hates it but I LOVE it! Blasphemy! No one can hate the melting pot! That's exactly what my husband says!! Those medals sure are pretty! I know! And surprisingly heavy when worn all together!